I think it’s a unique idea to focus on election campaign via conversations with party foot soldiers (Last Mile of Politics, April 15). This kind of thing is not commonly covered by mainstream media which is more focused on politicians. Rarely do we come across such det­ailed reports on dedicated individuals who remain in anonymity despite their invaluable contribution to the success stories of their leaders. I often wonder, what makes a person so selfless and devoted to a party or a leader, since the foot soldier hardly gets dividends in proportion to the contributions made on the ground for someone else’s political success. Is it ideology? But then, aren’t we living in a post-ideological world? Many questions. I feel the cover story just gives data of a few representative pol­itical party workers across the country. Facts that really drive them to work hard for a party are missing in the story. It may be political ambitions in most cases or name and fame, social service or unemployment or no other option to survive. All these details haven’t been categorically highlighted, discussed or extracted from these workers. No political party can reach the masses without active participation of dedicated party workers. It is a hard truth that parties use workers on the basis of these driving forces for meeting their agendas. It is also true that most of these workers hardly open up about their real intentions behind being available for a party for years. Outlook’s comprehensive package on the Lok Sabha elections 2019 has touched so far untouched aspects. Last week it was about the advisors and backroom boys of our regional satraps. Now it is about the unsung party workers who actually carry their leaders’ messages to the voters and play the vital role of communicator between the leader and the people. What leaders say in rallies doesn’t make as much impact on the voters as the communication by the party workers. It is true that elections are won and lost at the booth level. The story gives face to a few party workers: a Vishuv Mishra, a T. Kamlakshamma, a Puja Badola, an R. Ravikrisnan, a T. Nandkumar. But there are thousands and thousands of such loyalists of hundreds of parties. They would continue to do their job as usual, often at great personal risk, and would remain faceless as it is beyond the capacity of the media to give face to all of them. Strange political alignments for 2019 elections, forged just on the agenda of ‘Modi hatao’, have created a peculiar situation for the grassroots party worker. It has been rightly asked how does a worker of Akhilesh Yadav’s Samajwadi Party and a loyalist of Mayawati’s BSP reconcile after being sworn enemies on the ground for years, now that the two parties have forged an electoral alliance in Uttar Pradesh. Only time will tell whether the alliance of the leaders could also forge alliance between the workers of the two parties on the ground. There are a couple of factual errors in the letter from M.C. Joshi in the April 14 issue of Outlook. R.K. Dhawan did not come from Nehru’s office. When Indira Gandhi was the Minister for Information and Broadcasting, she sent a requisition to the DG of All India Radio (AIR) for a competent and trustworthy Hindi stenographer. Bhattacharjee, engineer-in-chief of AIR, offered his stenographer, Dhawan, whom Indira hired. Dhawan’s relationship with Yash Pal Kapoor also helped. Bhattacharjee often mentioned this to me. P.N. Haksar’s father and mine were colleagues as judges in Khandwa and our bungalows were in the same compound. I first met Haksar when he was studying in UK for his ICS exam and I was a high-school student. From 1987 until his death, I worked and travelled with him on several occasions. He gave Indira the fullest respect in office, but at a personal level, always called her Indu. Haksar was more of a mentor than a sidekick and on quite a few occasions, he persuaded Indira to change her mind. Another sample to look at would have been the digital footsoldier, or what some call ‘the troll’. This refers to your piece Walking Into The Light (April 8) on actor Kamala­haasan’s political foray. Intriguingly, the article attempts to paint Tamils as a people easily swayed by actor- turned-politicians. True, Tamil Nadu was ruled by two such film stars—MGR and Jayalalitha. But MGR was initially one of the 16 executive committee members of his parent party, DMK, until 1970 or so. He was as much a dyed-in-the-wool politician as an actor. Jayalalitha worked as the propaganda secretary of AIADMK and was a Rajya Sabha member before taking up a leadership role. Hence, their popularity as an actor had less influence in their political successes. All other film stars who ventured into politics soon fell by the wayside. But then, what is wrong in actors joining politics? It is for the people to decide, not Lutyens’ Delhi media. Outlook’s story/photo feature on the identical twins of UP’s Umri village was a great read (A Mirror Is Only A Spare Part, Apr 15). I was reminded of the quadruplets who sought admission in class XI of the school of which I was the principal. All four, whose father was an engineer and mother a school headmistress, had almost the same marks at the class X board exams. They were quiet, hard-working students. Three of them got admission into an engineering college, while one girl got into another (engineering) college. That affected her deeply. She just couldn’t accept this separation from her siblings. Again, a cousin gave birth to triplets. The three had nothing in common—whether in looks or interests or general inclinations. At my school, at one point, there were 12 pairs of twins, and it was interesting to study them. They never caused any problems for us teachers. Will SBI Takeover Of Jet Airways Operations Give Wings To Ailing Airline? This is about Outlook’s story on how the SBI has taken over Jet Airways’ operations (Bankrolled Carrier, Apr 15). Lenders, it seems, haven’t learnt from the Kingfisher fiasco and infused Rs 1,500 crore into Jet. We have had many cases where public sector banks have tried to bail out companies in various sectors and later ended up throwing tax-payers’ money down the drain. Ideally, Naresh Goyal should have allowed financially sound management policies to prevail, like Etihad Airlines does, rather than playing fast and loose with the careers of over 23,000 employees. Jet has alr­eady defaulted on an European central bank loan and it has to be seen how it plans to replay recent obligations. With its pilots appearing for job interviews with competitors and existing staff not getting salaries, Jet is in a complete mess. And it would require more than Rs 1,500 crore. Only when an investor with a long-term plan comes aboard can Jet rest in peace. The SBI hopes to get a buyer soon; it’s easier said than done. The Centre should address larger issues facing the aviation industry—rising fuel prices, as well as parking and landing charges and the poor outlook for the sector in general. This ref­ers to your story on the outdatedness of the Model Code of Conduct (Code of the Hyper-real, Apr 15). It is the age of digital propaganda with citizens being bombarded by gigabytes of opinion by the minute. The internet has also become a sort of hyper free market that is way ahead of conventional codes and ethics. One needs a counter-algorithm to deal with this propaganda algorithm that evolved rather organically at first but has eventually ­become a fiercly marketed space. And ‘brand Modi’ is the marketing mastermind of the times. In terms of optics, it is PM Modi who leads the way. His face has become inescapable, it stares at you from petrol pumps, metro stations and other public places. His canny calculations also have a grasp on potential visual cultures. Take the aggro Hanuman pop vehicle stick on for instance. Modi appropriated it so cunningly at a rally last year or so that it has now become almost like a sign for a Modi supporter on the streets. Modi had praised the artist for his expression at his rallies. Next up, we may have a Modi bike club. Now, what can the Election Commission do about that! Just to economise on paper, Outlook has been minimising, I think, its font size in all its articles. For readers of the magazine, it is an uncomfortable read. It is bec­ause of this that I have taken rec­ourse to read the first paragraph of every story, put in bold, and leave the rest unr­ead. I am old subscriber and fan of Outlook—I have been propagating the excellent journalism that Outlook stands for to all and sundry. Now, I am compelled to think that for all its brilliance, it’s really no point if I can’t read the magazine. Here is a suggestion—eit­her reduce pages or incr­ease the price but increase the font size. This refers to your story on the Congress’s proposed Nyuntam Aay Yojana (Handyman Calling, April 8). Money cannot grow on trees. It has to be supported by productivity and natural res­ources, which are invariably depleted. What should be truly worrying is that Rajiv Gandhi’s fiscal adventurism of the 1980s was at a time when his government commanded an overwhelming majority in the Lok Sabha, with over 400 MPs. Given the kind of coalition Rahul Gandhi may lead if he even manages to get half that number into the Lok Sabha, the fiscal pressures on the government would only increase, raising danger signals for the economy. This refers to your cover story Handyman Calls Again (April 8). It’ll be foolhardy to believe that the proposed Nyuntam Aay Yojana (NYAY) of the Congress is going to ent­huse the majority of voters. It’s clearly a desperate attempt to make a statement before general elections and lure the poor citizens. The proposal also comes too late in the day. Since the Balakot air strike and the successful ret­urn of Abhinandan, any momentum lost in the assembly elections last year has swung back in the BJP’s favour. The problem with NYAY is that the promise looks no better than a nebulous idea at present. It seems that it hasn’t been thoroughly thought through. Moreover, unlike the BJP, the The Congress is not adept at selling such half-baked ideas. Since the details are not worked out, so the follow up in the electronic and print media is missing. To build a narrative around the scheme, everyone should be talking NYAY. Unfortunately, this is not the case, as the scheme’s very proponents do not seem to be sure of it. It’ll not be unj­ust for the Congress, if NYAY, the ­acronym also meaning fair, is unable to catch voters’ fancy. And the ham-handed approach of the grand old party alone is to be blamed for it. NYAY is completely flawed, only meant to lure poor voters and nothing else. Identifying the real beneficiary is just one part of the problem; it can’t be considered hol­istic. In reality, it’s a criminal wastage of the exchequer’s money if an outright ‘sop’ like this were to be implemented. Proper housing, education, employment and business opportunities are the way out from poverty. 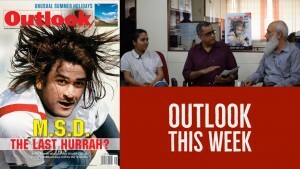 The mismatch between the net and print editions of Outlook is an eyesore. The headline under the “cover story” in the net edition of the April 8 issue read “Rahul Gandhi’s Nyuntam Aay Yojana Is The ‘Final Assault On Poverty’. Really?” while in the magazine, it was titled ‘Handyman Calls Again’. Such mismatch wouldn’t happen earlier. One has to wait for the print magazine to get the exact cover story headline, which is, I’m sure, considerably mulled over and has a literary touch to it. Now, let’s talk NYAY. All political parties promise freebies to voters before elections. But people pay taxes to the government for spending on their general welfare and development, not for distributing largesse for purchasing votes to ride to, or retain, power. Earlier, it was sewing machines, colour TVs, household items, laptops and even jewellery. Rahul Gandhi’s proposed NYAY is the worst kind of example for freebies promised to voters. It is being claimed by the Congress that NYAY has approval of economists, ­experts, and even Nobel laureate Amartya Sen. Congress leader and former finance minister P. Chidambaram says that the scheme is quite feasible. However, renowned public intellectual and author of India Unbound, Gurcharan Das, says it is a disastrous idea and an irresponsible populist election promise. The ‘Garibi Hatao’ slogan of the Congress is more than five decades old. It was the theme and slogan of Indira Gandhi’s 1971 election campaign, later used by Rajiv Gandhi and now by Rahul Gandhi in his campaign for 2019 General election. In spite of poverty ­alleviation schemes brought by various Congress governments including the much touted NREGA scheme, poverty remained intact. While Prime Minister Narendra Modi’s anti-missile hit a live satellite in space, Congress President Rahul Gandhi’s minimum income guarantee scheme (MIG) could hit a jackpot on the ground. Successive governments trying to eradicate poverty have only made the poor poorer and the rich richer. Both the Congress and the BJP have been darned liberal in distributing largesse to the rich. Accor­ding to Magsaysay Award winner P. Sainath the tax benefits lavished on the corporate needy in over 10 years works out to a cool Rs 42.08 trillion. In FY18 alone the BJP government wrote off bad loans worth Rs 1.2 lakh crore of the corporate poor! When such concessions in corporate income tax, customs duty and excise duty could cause imm­ense losses to the national exc­hequer, the argument that the MIG will cost Rs 3.6 lakh crore every year falls by the wayside. The MIG will ind­eed be a godsend to the homeless, landless, tribals, families without a breadwinner and senior citizens ­neglected by their families. One would agree with Congress leader P. Chidambaram that the Indian economy has grown manifold over the years and the scheme is eminently implementable. If the government can’t ­mobilise enough resources in the ­beginning to fund the scheme, it should kickstart the scheme with a minimum remittance of Rs 3000 per month, to be increased to Rs 6000 over a period of time. Rahul Gandhi has given a fresh coat of paint to the Congress’s decades-old ‘Garibi Hatao’ slogan by announcing the scheme less than three weeks before the election. Although he described it as historic and a final assault to eradicate poverty in the country, we cannot know what impact guaranteed monthly income for imp­overished families will have until the proposal’s contours are revealed. Till then, Rahul should focus on how to shift gears from a negative campaign against Modi to a positive campaign highlighting his party’s capabilities. The Congress’ promise to eliminate poverty with the ‘Garibi Hatao’ slogan in 1971 and the National Food Security Act in 2013 was not fulfilled. Now Rahul Gandhi is promising a minimum income guarantee of Rs 72,000 per annum for the destitute. This is not only an exercise to fool the poor, but will also cost the exchequer a whopping amount. Considering that he hasn’t spelt out the details of the scheme or how it will be funded, his announcement seems rhetorical. The fact is that poverty could not be eradicated even after decades of the Cong­ress being in power. Even if he manages to execute the scheme, the resulting fiscal deficit will be detrimental to the economy and put the clock of development backwards by several decades. Given the fin­ancial constraints and the condition of our economy, it is time leaders do not make big promises that are difficult to implement. They (NRI supporters of parties) love the country so much that they don’t live in it. This refers to The Bhakt’s Overseas Call (April 8). The NRI community has developed strange allegiances over time. The newer poster boy has, of course, been Modi. The journey of this affair has been riddled with difficult twists and turns and it culminated in Modi’s win in 2014, giving a boost to the overseas followers of Modi. In the years after 2002, he broke out internationally as the discomforting face associated with the Gujarat riots. This could have embarrassed your average NRI those days as it didn’t show too well for their native country. But, over time, as the world, and not just the US, came to embrace neo-liberalism wholeheartedly, recent discomfiting histories were rendered useless. It would have been cathartic for our NRIs to see electoral India embrace the controversial figure who was a cause of international embarrassment. Any residual doubt in the mind of any NRI was cleared when America voted Trump as their president. So, most NRIs are only too ­excited to cheer Modi. His success is in a sense theirs, that they need not be ashamed of past misdeeds. That the rabid, communal bhakts are at home in this new world order. But what makes the other alliance strange? That NRIs are fans of Modi as well as their ­superstar, Shah Rukh Khan—the face of liberal, secular, ­entrepreneurial India—in the same breath. NRIs are supporting Modi because they didn’t have to face demonetisation or GST. He’s doing great in optics, that’s the reason they like him. They’ve finally found in him an aspirational Indian like themselves. Even though they are numerically non-significant in the ­political scheme of things, they carry considerable symbolic value. This ref­ers to Bling Baba’s Offline Army (April 8). It remains to be seen that without the singing, dancing and filmmaking baba around, how long it will take for his influence to fade away. Hope that happens soon for the sake of many of his innocent followers so that they can exercise their democratic right independently. In the April 15 issue, the heading ‘And We Have A Winner...’ under the ‘poliglot’ section wrongly mentions the amount of cash and valuables siezed in Tamil Nadu since the model code of conduct came into place. It is, of course, not “Rs 70.90 cash” and Rs 88.70 in gold et al” but Rs 70.90 crore cash and Rs 88.70 crore worth of ornaments. The error is regretted. This is with reference to An Applecart Turner (April 1) on the resignation of an IAS off­icer from Kashmir, attributing the decision to unabated killings in Kashmir, lack of sincere outreach by the Union government, the threat to the special status of J&K and second-class treatment of India’s Muslims etc. In his social media post announcing his resignation, Shah Faesal, topper of the 2010 IAS batch, also expressed his concern over declining constitutional values. Relinquishing a prestigious job definitely needed exemplary courage with a conviction that few have. The mission he cherishes will test his capacity to organise a movement. He must struggle with perseverance against all odds amidst high expectations. The challenges would be exceptionally trying for him to surmount due to his being new to the ambience and the malicious intent of existing political forces to incapacitate him for their vested interests. We can only wish him good luck in his mission, although it looks like an impossible dream in the present circumstances.